The process of brainstorming when putting up a restaurant starts not only with its operational blueprint but with the branding that will be inculcated in the food establishment as well. It is very important to ensure that all the details that will make up the entire business are cohesive and that they can properly provide information about the restaurant’s brand. There are different ways that branding can be seen by prospective consumers; one of which is by looking at the food menu that the restaurant will use to present its food offerings. If you want to give full attention in making the layout, format, and content of your restaurant menu, listed below are some of the things that you should know to make the entire process a lot easier and faster for you. A restaurant menu is one of the tools/items that represent the business. The menu card’s importance in food service should never be taken for granted. 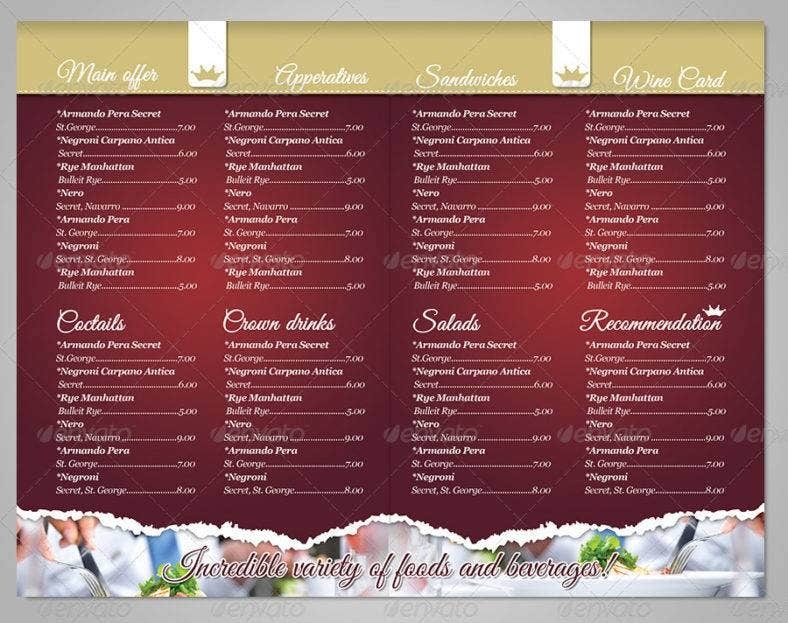 Aside from the best company logos, the ambiance of the location, and the kind of service given to customers by the restaurant staff members, the restaurant menu template is also a vital part of the entire customer experience. Most people first look at the menu before identifying what they would like to have which is the reason why restaurants should ensure that their menu is the face of their brand, culture, and operations. 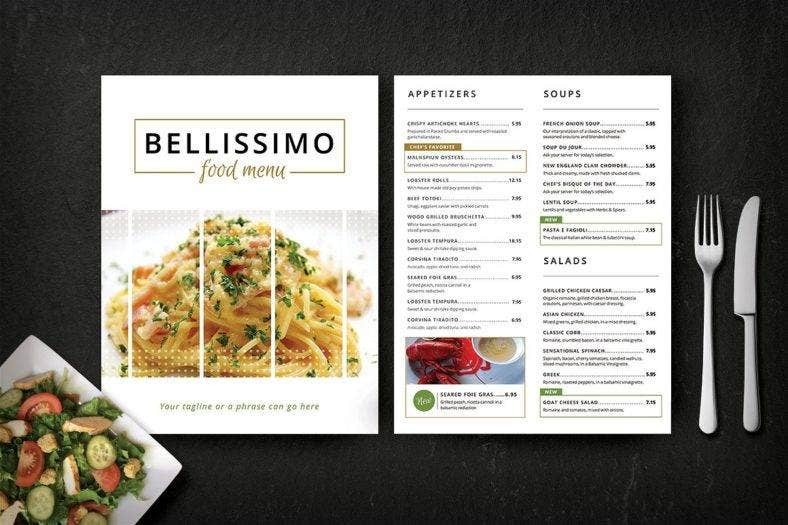 A restaurant menu can affect the purchasing decisions of customers. The way that the food items are arranged, grouped, and packaged has a relevant effect on how customers order. Great photographs of the food can make customers salivate even more. More so, food packages and special price offers included in the restaurant menu design can make people more interested in purchasing in bulk, especially if they are in large groups. A restaurant menu can help give focus on the nature of the restaurant business. As one of the branding tools of the business, a creative restaurant menu can present the restaurant to its current and target customers accordingly. The aesthetic and full layout of the restaurant menu can present the restaurant based on how it would like to be perceived by the market. Hence, it is not only the content of the menu that should be well-thought of but its design and format as well. As mentioned above, the food offers of the restaurant are the stars of the entire menu. There is a variety of menu description writing tips that you need to be aware of when it comes to this matter. However, restaurant owners should keep in mind that they should give equal importance to the format of the small restaurant menu. This tool also helps in terms of enticing customers to use their purchasing power in a way that it will benefit the restaurant even more. Listed below are some of the things that you should know when it comes to formatting your restaurant’s menu. 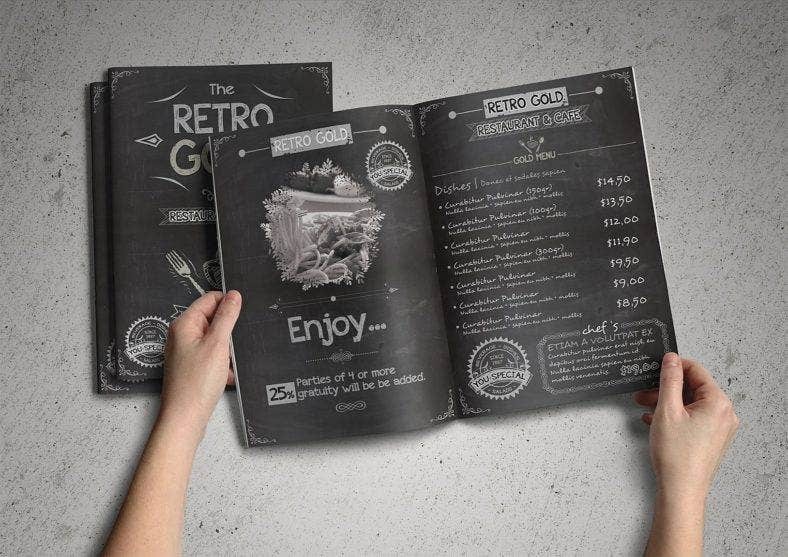 The design of the restaurant menu can make an impact on consumers. Be organized when designing your restaurant menu. Do not make it look boring, but you should also not go over the top where the contents of the menu do not seem relevant anymore. Make your format and design visually-pleasing so customers will be excited to order different dishes. The design of your menu should be one of your design priorities when creating a startup checklist for opening a restaurant. If you will make a restaurant menu, you need to make sure that you are already backed-up with the specific knowledge areas on how to create one in the most effective and efficient manner. Remember that your restaurant menu can greatly affect the perception of your customers about the business. Hence, creating one is not just like making a free party menu or a graduation menu template. It is not only a piece of paper that you present to guests—it is a document that brands the entire restaurant. Always think of how you would like to brand the business. You may start from using a sample blank menu and work from there. Develop the design of the menu and incorporate the branding of the business. More so, think of the food items that you will sell and select a theme that can help you boost their ability to be sold. It will also be helpful if you will take references on the menus of restaurants with the same theme as you have. This way, you can easily identify the items that have the potential to work for your business and those that do not. Your restaurant menu is the face of your business. Hence, it should reflect not only your offers but also your ideas. Creating an effective restaurant menu is a process that you should always be serious about. When creating this tool, think not only of your business but also of your customers. Again, knowledge is key—and learning a thing or two about restaurant menus and the usages of menu list templates can make a big difference if you are in the food and restaurant industry. Make the most out of what you know and create a restaurant menu that can do wonders for your business.